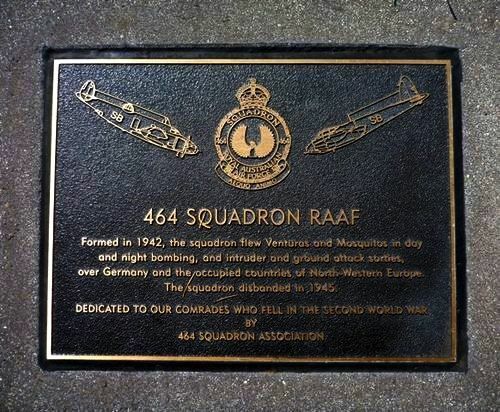 Plaque commemorates those who served with the 464 Squadron Royal Australian Air Force during World War Two. Formed in 1942 , the Squadron flew Venturas and Mosquitos in day and night bombing, and intruder and ground attack sorties, over Germany and the occupied countries of North-Western Europe. The squadron disbanded in 1945.